The games handicap market is a popular market when it comes to tennis betting. As with other sports, it is a market designed to give two selections around the 50:50 mark by giving the favourite a games handicap to overcome. For example, the Auckland final of 2013 saw Agnieszka Radwanska take on Yanina Wickmayer. Radwanska was priced at 1.25 in the markets compared to 3.87 for Wickmayer. However, by giving Radwanska a -4.5 game handicap, it gave us a market where Radwanska was now priced at 1.88 and Wickmayer was priced at 2.04. The question that this article will look at is whether certain players tend to cover the games handicap more often, and whether we should take the middle handicap that is offered. I have collected handicap lines and results for 2,344 WTA matches that were played in 2013. This excludes matches that finished in a retirement, plus a couple of matches where the handicap markets were not priced, so the data was not available. Despite these exclusions, the sample covers the vast majority of matches played in 2013. The majority of the middle line handicaps were half-game lines, i.e. -3.5 games as opposed to either -3 or -4 games. However, there were a reasonable number of full-game lines in the sample, so the push comes into play. The push is where the final result equals the handicap line and the bet is void. In the sample, there were 54 matches that resulted in a push. If the handicap lines were being set correctly, we would probably expect to see players covering in the region of 45-55% of the time and failing 45-55% of the time. It would not be exactly 50% as the prices on the handicap line are not always 50:50 – often one of the players is a slight favourite on the handicap line. As we can see, there are five of the players in the top 10 that fall between these rough guidelines. The biggest outliers are Petra Kvitova and Serena Williams. Petra Kvitova is well-known for somehow taking almost any match to three sets, particularly when she is the favourite. As a result, she will often struggle to cover the handicap unless she wins at least one of the sets convincingly. This is borne out by the figures, which show that she only covered the handicap in 25 of her 69 matches in 2013 – a fairly miserable 36.2% of the time. In contrast, backing the handicap on her opponent would have resulted in winning 59.4% of the time, with a push resulting on three occasions. On the flip side, Serena Williams was able to cover the handicap an impressive 60.0% of the time. Given she is almost always a huge favourite, she usually has large handicaps to cover, but is clearly able to regularly cover these handicaps. While the sample is relatively small for some of the players, there are a couple of players in there with very impressive figures. 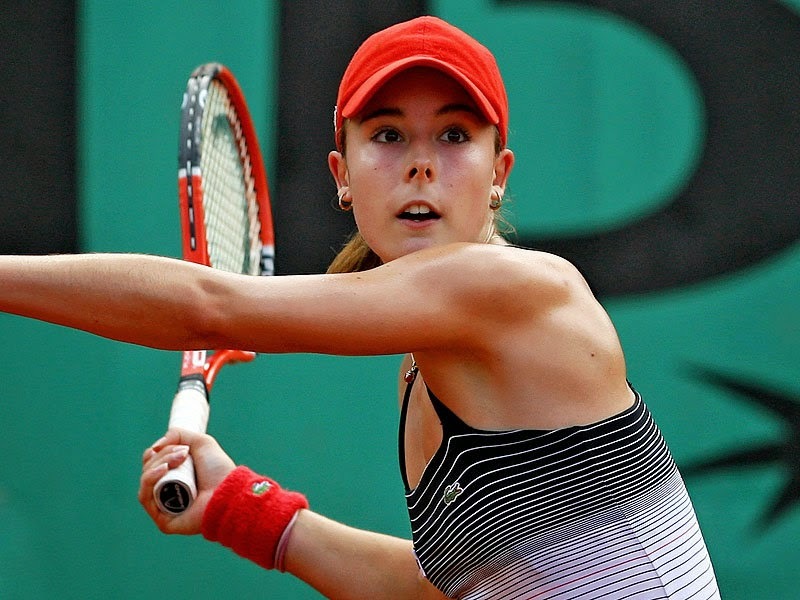 Alize Cornet was able to cover the handicap in no fewer than 40 of her 58 matches in 2013 – a phenomenal 69.0% of the time. Even if she were the favourite in every handicap market, this is still far higher than we might expect. Similarly, Simona Halep’s 65.5% is very impressive and reflects her rapid and unexpected rise up the rankings during 2013. There are some very poor performances here from a number of players. After her awful 2013, it is no real surprise to see Tamira Paszek on this list, nor the likes of Heather Watson, who struggled through illness, or Julia Goerges, who is consistently overrated in the markets. The second question to look at is whether it is worth giving an extra game on the handicap in exchange for an improved price. As an example, today’s semi-final between Agnieszka Radwanska and Alize Cornet has a handicap line of -5.5 with the Pole at 2.14 and the Frenchwoman at 1.794. If we were hoping to back Agnieszka Radwanska, how much of a difference would it be between backing her at -5.5 at 2.14 or -6.5 at 3.03? Similarly, if we wanted to back Cornet, should we back her at +5.5 at 1.794 or +4.5 at 2.18? Of the 2,344 matches in our sample, there were 1,654 matches that were won by the favourite. Of those 1,654, in no fewer than 1,174 of those matches did the favourite cover the handicap. In other words, when the favourite won the match, they covered the handicap on 71.0% of occasions. If we were to increase the handicap by one game, then this figure changes to 937 matches that cover the handicap or 56.7% of the matches. Out of 1,654 matches where the favourite won, there were 237 that would not have covered a handicap that was one game larger than the generally offered line. If we look at matches where the outsider failed to win the match, but covered the handicap, we find that there are 480 matches. There were 54 of these matches that finished as a push, meaning that there were 426 matches that would have paid out as a winner on the outsider on the handicap, despite losing the match. If we take one game from the handicap, i.e. instead of having to cover a +4.5 handicap, they must cover a +3.5 game handicap, we find that there are now just 261 matches that would have paid out as a winner – a fairly significant fall. Of the 480 matches where the favourite won, but the outsider either covered or gained a push on the initial handicap, 62.7% still cover or push on the new handicap. As we might expect, when the outsider wins, they tend to cover the handicap on the vast majority of occasions. Of the 690 matches where the outsider was victorious, the outsider successfully covered the handicap on no fewer than 688 occasions. There were just two matches where the outsider was victorious and did not cover the handicap – Stefanie Voegele beating Mona Barthel in Luxembourg and Melanie Oudin beating Michelle Larcher de Brito at Wimbledon, both as very fractional outsiders with just a +1.5 handicap. Two of these matches now result in a push, rather than a win, while six now become losers when they used to be winners. However, out of 690 matches, this is a small sample that actually change their result. So, what can we conclude from this. In terms of backing the outsider on the handicap, it would seem to depend on why we are backing the outsider. If we are expecting the outsider to keep it tight, but not actually win the match, then it would appear that we are best off using the original middle handicap – there are quite a large proportion of matches that would become a loser for a relatively small change in the odds by taking a more aggressive handicap line. However, if we are backing the outsider on the handicap because we expect there to be a reasonable chance of the player winning the match, then one would be advised to take on the smaller handicap – there were very few occasions when an outsider became a loser on the handicap from taking the extra game in 2013. In terms of backing the favourite to cover the handicap, the picture is less clear. Whilst there were still plenty of players that would have covered the more aggressive handicap, there were 20.1% of all those that would have covered the handicap before that no longer cover the handicap. This is a reasonable figure, but we can often see significant rises in the prices by taking an additional game, so we might consider it a risk worth taking. It would seem that we need to judge on an individual basis depending on the increase in the odds that we see. This is a very inciteful article indeed. It would be interesting to see the same trends in mens tennis. Especially the effect of the additional two sets in grand slams. CiCi Bellis: Future Tennis Superstar?